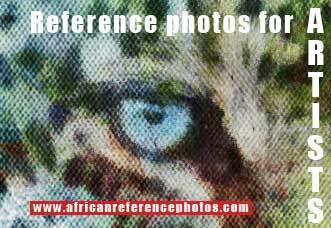 The majority of elephant images in this gallery were taken in Zambia's Lower Zambezi National Park, with the remainder taken in Botswana (Northern Tuli Game Reserve) and the Kruger National Park in South Africa. If you visit the Tuli area on safari, you're more than likely to see many small "maternity" herds of elephants, allowing you to get pictures of elephant mothers with their babies. However, elephants are very protective of their young and don't like you getting too close. It's advisable to balance the urge to capture a winning shot with respect for their space. Although relaxed elephants will usually simply ignore a safari vehicle, it's not wise to push your luck with a breeding herd. This means a good telephoto lens is essential for capturing family groups of mothers with babies. A medium zoom lens in the 70-200mm range is usually adequate for this. National Geographic photographer Nick Nichols says that photographing elephants "is probably the most fun thing you can do as a wildlife photographer". He writes: "Some of my best pictures are of charging elephants. Elephants are hunted heavily where I work, so they're afraid of humans, and if you get the right elephant, it'll charge. "But I think it's almost always a bluff charge .... an elephant just wants us to go away, so she trumpets and charges a little bit, which makes for a dramatic moment. Of course, there's going to be the charge that's real, and I'm not sure I can read that. I usually run away, which you're not supposed to do." If you'd like to find out more about African elephants, see Elephant Information, Elephant Biofile, and Elephant Communication.